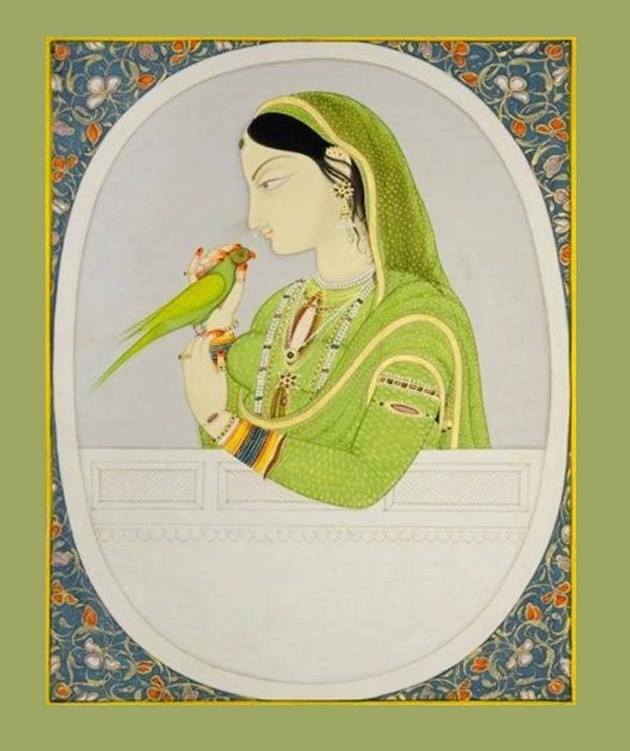 Lady with parakeet, attributed to Sajnu, a master painter from Kangra, India. Opaque watercolor and gold on paper, ca. 1820.